Google has pushed out search engine algorithm updates designed to score webpages compatibility with mobile devices, and favor mobile friendly sites in mobile and regular search results. With mobile search increasing daily, it’s wise to check your websites and web pages to ensure they are mobile compatible and display correctly on mobile devices. This applies to individual pages, not just the root domain of your website so checking subpages is important. 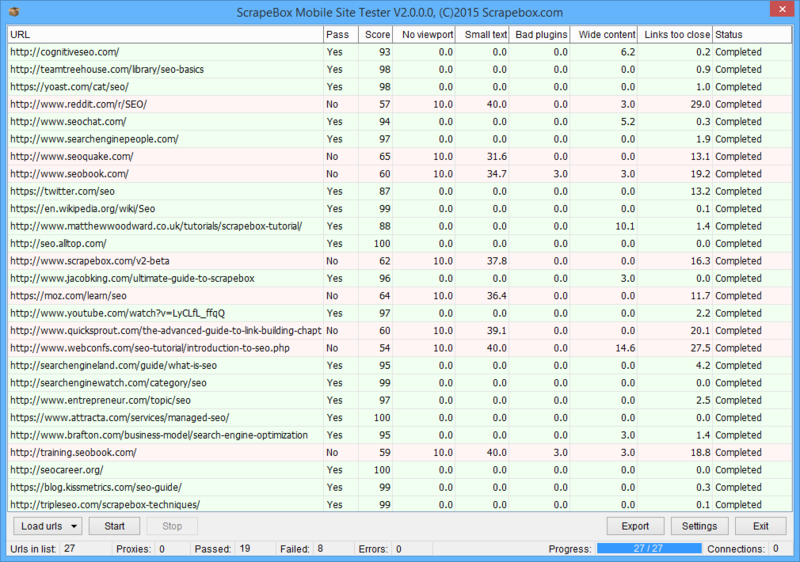 We have created the Mobile Site Tester addon to help automate the testing of a large number of pages without the need to tirelessly enter your URL’s one by one in the Google Site Tester. Ideally you want your overall score to be 100% and the scores for the 5 individual attributes to be zero. You can see the output from Google’s web interface here. 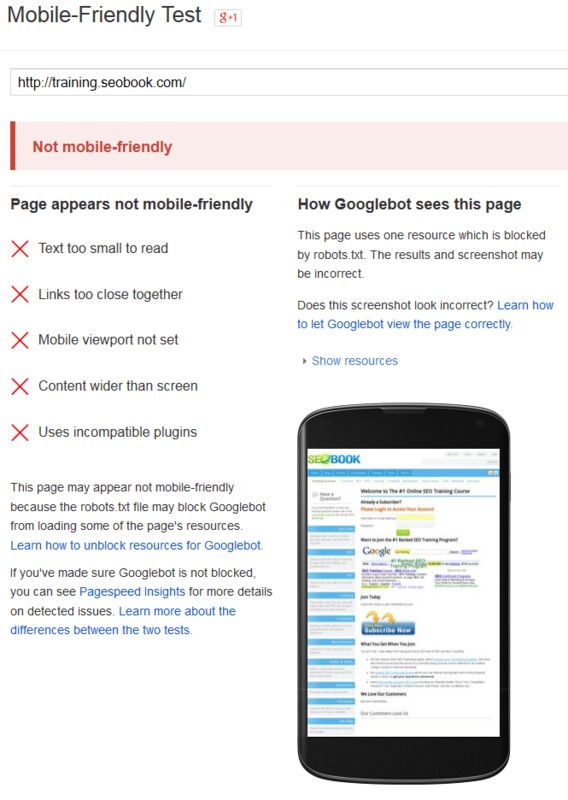 With the Mobile Site Tester addon you are able to easily see how negatively each aspect is effecting your mobile score which Google’s web interface does not display. Also the addon allows you to mass or bulk check thousands of URL’s at once for mobile compatibility multi-threaded instead of being limited to checking one page at a time. So this addon is ideal for any webmaster who is concerned about mobile search and wants to audit or profile their websites URL’s to check for mobile compatibility. Also for SEO’s or Web Developers wanting to reach out to websites who fail the Mobile Check to offer their services, contact details can be looked up using our Bulk Whois addon. We have also just added the ability to load email addresses, and it will check the domain the email was created with to check if the site is mobile friendly. Then you can export the non-mobile friendly result emails making it simple to find and contact site owners. The Mobile Site Tester has sort-able columns so you can order the results by score, and you can also export all records and scores to an .xlsx file for use in Excel or export the Pass or Failed URL’s to a text file. View our video tutorial showing the Mobile Site Tester in action. This is a free addon included with ScrapeBox, and is also compatible with our Automator Plugin.